Each Ninja when they start out makes a decision, often based on family wishes, about what kind of a ninja they are going to be. Whilst all Ninjas share many common traits, there are also many elements that are different from one ninja to the next. There are 3 main basic types of ninja techniques: Taijutsu (physical attacks), Ninjutsu (illusory attacks) and Genjutsu (illusory tricks). Whilst both Ninjutsu and Genjutsu are illusions, the Ninjutsu fireball will do real physical damage, while the Genjutsu fireball will only do damage if you do not release it. All Genjutsu illusions can be released by using a technique called "kai", which will show what the truth behind the illusion was. Ninjutsu illusions cannot be released. Genjutsu is more about wearing down an opposition, damaging them little by little until there is little left. Once an enemy is trapped by Genjutsu, they can die instantly. Some ninjas, however, choose to focus more on the objects that ninjas use in battle and as part of their jutsus. They instead focus on making shurikens hit more often, making weapons stronger, they make fans cause great tornadoes, make puppets come to life and fight for them, they make bombs and other traps, and they can create and manipulate a wide variety of other objects. These ninjas are called Ninja Artists. Famous Ninja Artists include TenTen, whose favourite skill was to summon a torrent of weapons to fly down at her opponent. Shigure, who was killed by Gaara in the Chuunin Exams, could throw an unbrella into the air and then rain down needles at an enemy. Even Haku, who primarily used her ice mirrors kekkei genkai, also was an expert in throwing needles, her own form of Ninja Art. Both of Gaara's siblings were also Ninja Artists - Temari used a large fan to great effect while Kankuro used puppets to great effect. Famous Genjutsu Specialists include Kurenai, who used tree bind jutsus to stop her enemies and could see through illusions. Genjutsu was rarely seen in Konoha, although it was often seen in other villages, with for example Rock Lee and Maito Gai finding themselves trapped in a practice dummy genjutsu, where they ultimately were left fighting each other. Whilst Genjutsu Specialists were fairly rare, they were also very powerful with what they could do. A successful Genjutsu, such as the nehan shouja used by Kabuto during the Chuunin Exams, could hurt a whole village at once, or, as in that case, send an entire stadium to sleep. Such was the danger of genjutsu that all ninjas had to learn how to use kai just to survive. The most common type of Ninja, and indeed what the term "ninja" is based on, is the Ninjutsu Specialist. So popular is this specialty that they have by far the widest range of jutsus and an individual ninja can effectively choose their path within the path, as it is impossible to learn all of the jutsus, even within this one specialty. Many jutsus were attached to elements, which was especially important for the ninjutsu specialist, as it effectively meant that certain jutsus were foolish for them to perform. 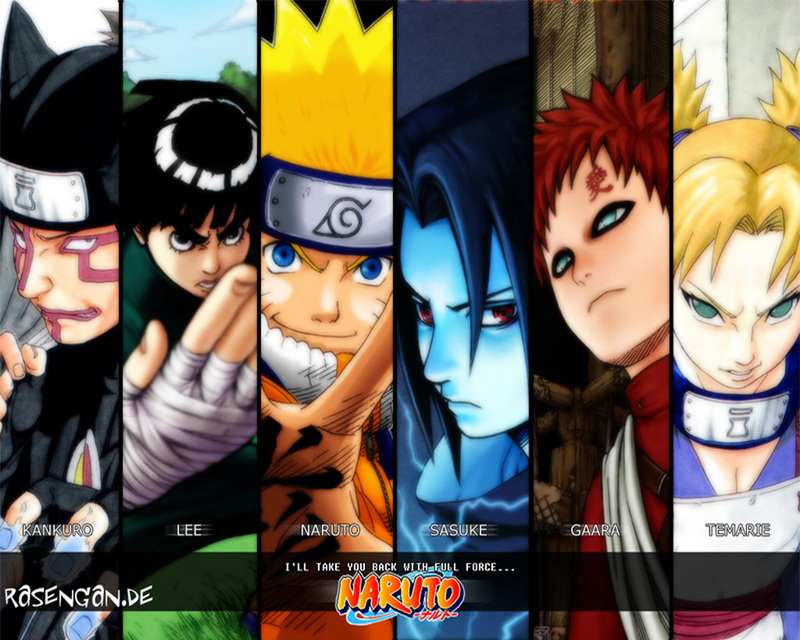 Kakashi, Jiraiya and Naruto were all Ninjutsu Specialists, as were most of the ninjas shown in the series. Konoha in particular had a large number of Ninjutsu users. Taijutsu, unlike the other 3 types, uses no illusions. There is no manipulation of the mind, the body or even of objects themselves. What you see is really what you get. By focussing on reality, the taijutsu specialist is able to hit much harder than anyone else, can move at lightning speed, can access 8 gates to increase their chakra flow and otherwise their power, and they can also dispel various illusions, shattering both ninjutsu protections and genjutsu illusions. Taijutsu, along with Ninjutsu, also learn of the healing arts, although in their case usually with a focus on making their punches harder. Whilst Taijutsu Specialists were relatively rare, the likes of Rock Lee and Maito Gai, in addition to Chouji and Neji, made the concept seem more appealing. Sometimes raw power is exactly what is needed to win the day. In addition to the above, there are many jutsus that are not covered by a choice that a ninja makes, as their conscious path. They include: sealing jutsus, forbidden jutsus, clan-only jutsus or kekkei genkai (blood limit jutsus, that only certain clans get), special jutsus associated with your blood summon and a wide variety of other things.